Aaron Anderson is a Capital Markets Research Analyst at Fisher Investments where he focuses on global macroeconomic and market trends. He holds BS degrees in geophysics from the University of California, Santa Barbara and applied economics from the University of San Francisco. Anderson writes a regular column for MarketMinder.com titled “The Global View”, and instructs at investing seminars nationally. He and his wife Kim reside in Danville, California. They enjoy traveling (and investing) all over the world. 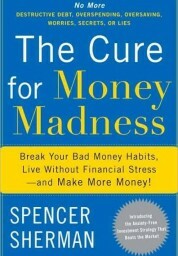 The Cure for Money Madness: Break Your Bad Money Habits, Live Without Financial Stress–and Make More Money!